ELF Emmit is a digital metronome which you control, choosing your preferred state of mind AND BODY by allowing the device to suggest how your mind should behave and the rhythm at which it operates. Elf Emmit is a personal assistant which coaxes our minds and bodies to work as we would like them to. New 2017 Updated Design, More Durable. Smart-Phone Operated with no battery required. ELF emmit draws upon the medical knowledge of the frequencies at which our brain works in different states of mind and encourages them to function at those exact frequencies. This can be accomplished even though the brain frequency may not be aligned with what we’re trying to achieve. It’s a scientific fact that, in sleep and deep relaxation, our brains function from 1 to 5 Hz (beats) per second, while at high concentration they spike up to 30 Hz per second. 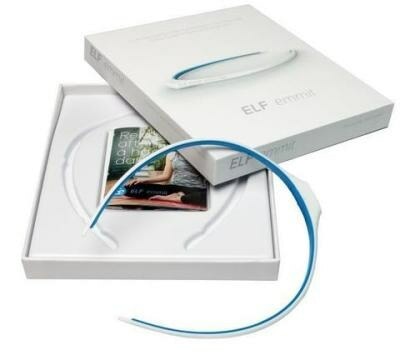 To generate electromagnetic pulses in our ELF emmit headband, we use energy from your smartphone or tablet, with the same power that goes to headphones when we listen to the music.